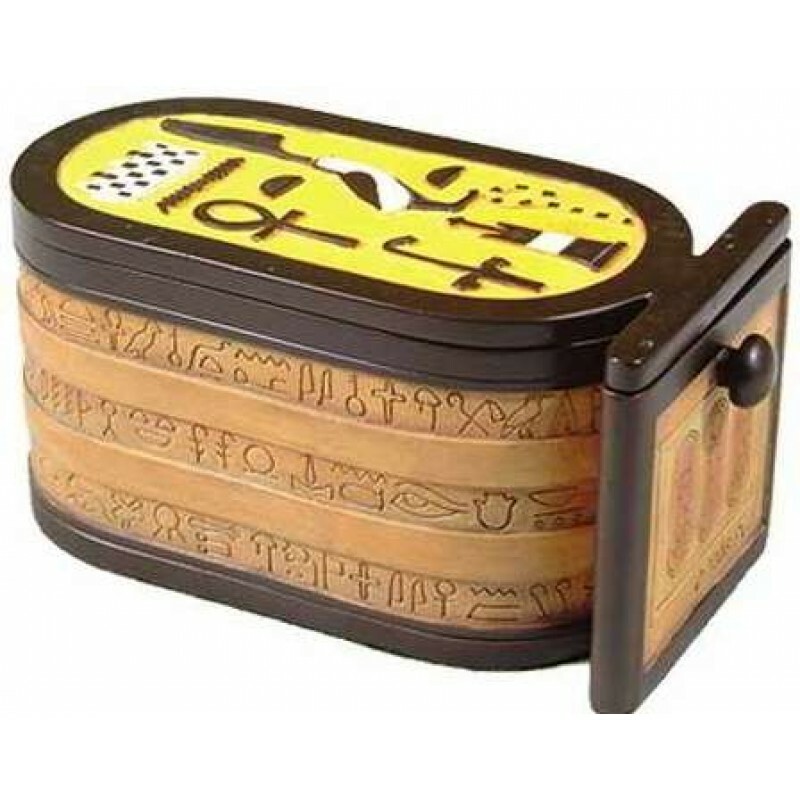 This full color cold cast resin box is in the Egyptian Cartouche style with hieroglyphics of King Tut. Shaped like an Egyptian Cartouche - the shape around hieroglyphics that designated a proper name. The cartouche on the lid of this box is that of famous Egyptian boy king, King Tutankhamen. 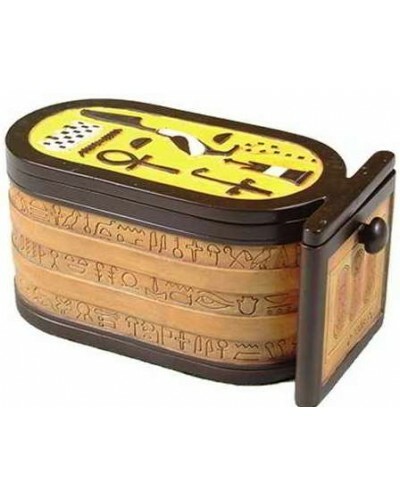 It is based on a box found in his tomb. Finely detailed with hieroglyphics, this box is 5 7/8 inches long with lift off lid. Item Number: PT-7740 | Approximate Size (Inches): 5.65 wide x 3.00 deep x 3.00 high | Approximate Shipping Weight: 1.00 lbs. 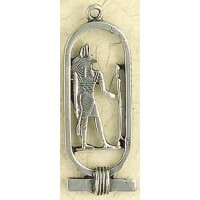 Anubis was the ancient Egyptian God of the Dead. When his priests embalm..
Hand Painted Detail Color details are hand painted. Please expect slight variations - each is unique.